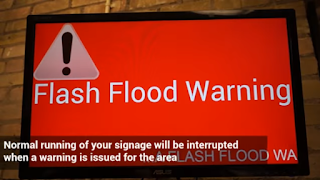 The recent bout of severe weather in the southern US has prompted us to once again remind our customers about the automated alerting available on all of our digital signage products. 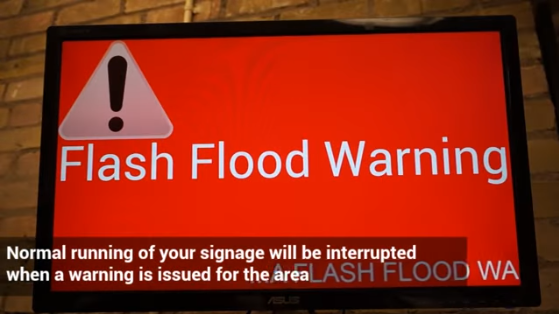 Any display can be configured to automatically warn of severe weather and other emergency situations with a full screen alert message and audible alert tone. Once the warning has expired your regular content will resume play.